June 3, 2016 – This 10.5-billion-year-old globular cluster, NGC 6496, is home to heavy-metal stars of a celestial kind! The stars comprising this spectacular spherical cluster are enriched with much higher proportions of metals — elements heavier than hydrogen and helium are curiously known as metals in astronomy — than stars found in similar clusters. 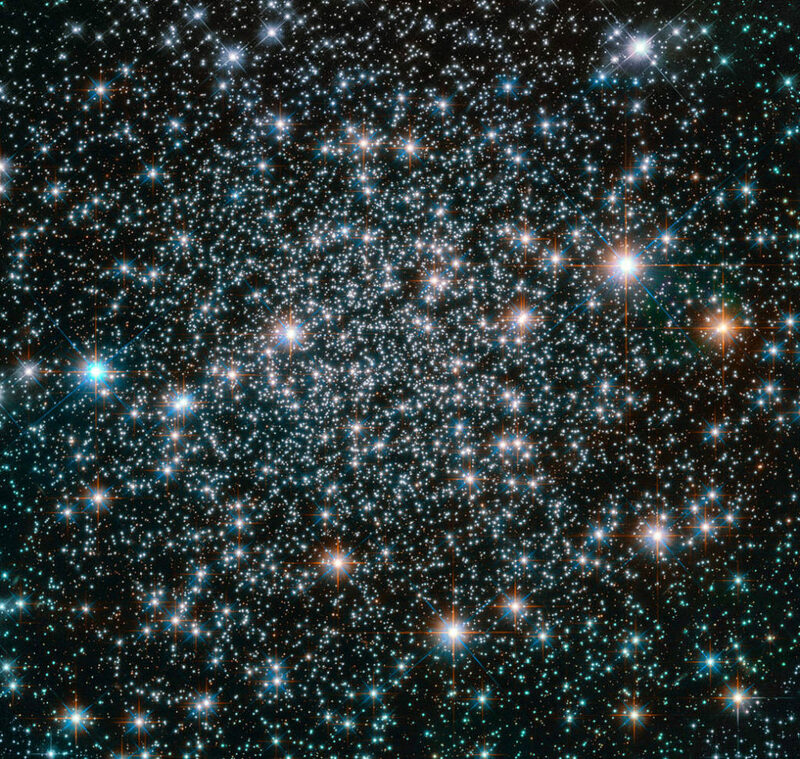 A handful of these high-metallicity stars are also variable stars, meaning that their brightness fluctuates over time. NGC 6496 hosts a selection of long-period variables — giant pulsating stars whose brightness can take up to, and even over, a thousand days to change — and short-period eclipsing binaries, which dim when eclipsed by a stellar companion. he nature of the variability of these stars can reveal important information about their mass, radius, luminosity, temperature, composition, and evolution, providing astronomers with measurements that would be difficult or even impossible to obtain through other methods. NGC 6496 was discovered in 1826 by Scottish astronomer James Dunlop. The cluster resides at about 35,000 light-years away in the southern constellation of Scorpius (The Scorpion).